Happy New Year! I am back with a Cartier. 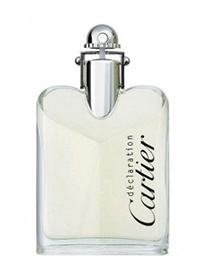 I was thinking of doing a more unique fragrance as the first for 2013, but after humming and hawing over what that fragrance may be, I decided a Jean-Claude Ellena designed Cartier would have to do. That Smell will be back to normal next week. In Bottle: Citrus, sharp orange, no sweetness–but very bitter with an earthy quality and a spicy kick. Applied: Bitter orange with a blend of birch in the background. I get some spices upfront too and an almost animalic quality that I’m assuming is coming from an ambery leather combination. There’s definitely something that smells a bit “off” about this, but it’s “off” on purpose, like Declaration is trying to tell me to like it or leave it. Anyway, as the scent ages, it gains more woodsiness, takes on a floral bouquet with warm leather and that constant off smell in the background as the spices roll in. It took a long time for Declaration to get anywhere, it has fantastic longevity and projection so if you want something that will stick around all day and don’t mind occasionally getting a whiff of faint uncleanliness then this might be up your alley. As the scent dries down, I get more spices, more vetiver and a smooth leather that rounds things out very nicely. Extra: Declaration has quite the lengthy list of notes and the complexity it boasts is no surprise for how much stuff is jammed into it. It smells of sophistication and good taste, but at the same time, it warns the fainthearted off with what people call the “sweaty armpit” undercurrent that runs through this scent. Whatever it is, those who brave it might come to love it. Design: Declaration has a nice enough look. Simple in general with a bit more attention paid to its cap. It’s easy to hold, pleasing to look at with no garish bone on its body. Notes: Artemisia, caraway, coriander, birch, mandarin orange, bergamot, neroli, bitter orange, iris, ginger, cinnamon, pepper, juniper, orris root, jasmine, cardamom, leather, amber, tea, vetiver, oakmoss, cedar. I don’t relish much on the off smell in this. If you’ve followed this blog, you’ll note that I tend massively toward the clean so Declaration was a bit of a surprise for me. I appreciate it on the complexity level, but I think I’ll pass. Reviewed in This Post: Declaration for Men, 2012, Eau de Toilette. I was in the mood for something a little heavier today and picked Wild Tobacco out of the samplers of Illuminum. So far the line has offered bright, clean fragrances and I was hoping Wild Tobacco would shift things in a different direction. In Bottle: Smoky dense, tobacco with a touch of warm clove. Applied: Looking at the notes, I had expected something sweeter. What Wild Tobacco is is a strong tobacco and clove scent that rises out of the initial application with a big shout to declare that it’s here. I get strong, almost single-minded smokiness from the tobacco with a bit of spicy tempering from the clove. The strength is admirable but the complexity is leaving me somewhat wanting. As the scent ages, the tobacco settles down a bit and I get more clove out of the scent followed by a mild, sweet tonka and a very light cedar note. The scent dries down a sweetened clove and mild tobacco. Extra: Wild Tobacco was released in 2011, and was meant to evoke the scent of a gentleman’s club. Having never been to a gentleman’s club, I’ll just let it speak for itself. It’s strong and dry, very heavy on the clove and tobacco. Wild Tobacco can be had from LuckyScent or Illuminum’s website. Design: Still not much of a fan of the packaging or branding. But I still think it would nice if you had more than two of these and displayed them all in a row. Notes: Clove, clary sage, cedar, tobacco, castor, tonka, labdanum. I’m not entirely sure about this one. It goes on with a strong tobacco presence but over time, it actually turns into a primarily clove scent. I almost felt like I had put on a tobacco scent and left with a Christmas time clove. If you’re drawn to smoky clove, then you might want to give this one a try. Reviewed in This Post: Wild Tobacco, 2012, Eau de Parfum. Disclaimer: The fragrance reviewed in this post was provided to me for free for the purposes of review. In no other way am I receiving pay or compensation for this review. This review was written based upon my personal experiences and opinions of the product. Hello, By Kilian. Long time no see. Still packaging things to make me covet you, I see. 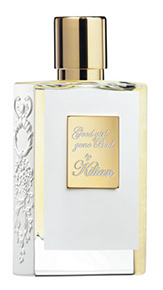 Good Girl Gone Bad is a recent release from By Kilian and features a gorgeous white and gold case. In Bottle: Fruity, light and floral. I smell a bit of soapiness too. Applied: A fruity opening with a osmanthus and jasmine showing. It smells like and soapy with a hint of jasmine. The jasmine becomes more prominent as the fragrance wears on and a touch of tuberose can be detected in the midstage. Jasmine takes on a green aspect mixing with a rose note. Good Girl Gone Bad isn’t going bad so far, and as I continue to wait her out, I get impressions of cedar and patchouli with a speck here or there of darkness. The fragrance never really gets very dark or daring. It remains a rather tame rose jasmine and cedar composition all the way until its fade. Extra: I haven’t been following By Kilian in a while, and when I saw this fragrance had come out, I was drawn in by the name. I had this idea that it would start off light and airy and turn into a sinister beast. But it never really reaches beast form, and the florals in the midstage carry its good girl vibe all the way to the end. Good Girl Gone Bad was released in 2012 and can be had for $245 at Luckyscent. Design: By Kilian usually does very well with its packaging. Good Girl Gone Bad comes in a beautiful bottle decorated to exquisite detail with a white and gold box featuring a golden snake coiling on top. Everything about it screams luxury. Notes: Osmanthus, jasmine, rose, tuberose, narcissus, violet, plum, cedar, amber, patchouli, vetiver, musk. Okay, so the bad girl never got to the party. Maybe she was too busy rocking out somewhere else? Wherever she went, she just wasn’t in this fragrance. What is here is a rather nice floral scent with decent longevity and a beautiful casing. Reviewed in This Post: Good Girl Gone Bad, 2012, Eau de Parfum. It was a surprisingly chilly day and I was in the mood for something warming, so I decided to test out Arabian Amber today in the hopes that it would give me that warm feeling that ambers tend to do. In Bottle: Clean and very heavy on the bergamot. I get woodsy from this too as well as ylang-ylang. Applied: The strange thing about Arabian Amber when I tried it on me was that it wasn’t very warm. Ambers or scents that bill themselves as ambers tend to warm up. I get the bergamot in the beginning that does a nice job introducing the woods that roll in during the midstage. The cedar in this is sparingly used and tempered so that it doesn’t overtake the entire fragrance. It’s definitely present and definitely threatening to take over, but it doesn’t because of the lovely touch of spice and light-handed smoke that funnels up through the scent. Arabian Amber has a bit more of its namesake as the fragrance ages and has a much more prominent ylang-ylang presence than I thought it would have. The ylang-ylang reminds me of Illuminum’s Cashmere Musk as it dries down to a smoother woodsy and ylang-ylang fragrance that joins up with the clean patchouli for a pleasant finish. Extra: Launched in 2011, Illuminum is a British fragrance house created and led by Michael Boadi. The house focuses on contemporary, sleek and modern design. Design: Still not that big of a fan of the bottles. Notes: Bergamot, nutmeg, black pepper, cedar, ylang-ylang, oppoponax, frankincense, patchouli. I expected a lot more warmth from Arabian Amber and while it does have a bit of warmth to it, I noticed the ylang-ylang in the fragrance more than I noticed the spices or the amber notes. I’m not sure this one is for me but it certainly smells nice enough. Arabian Musk is available in 50ml or 100ml and you can buy a bottle at Luckyscent or Illuminum’s website. Reviewed in This Post: Arabian Amber, 2012, Eau de Parfum. 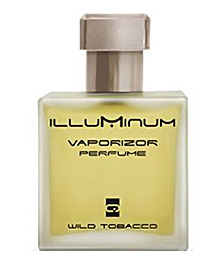 The Illuminum brand came to my attention when a certain famous womanwore it on her wedding day. I tried my best to ignore the royal wedding because I had very little interest in it, so just about the only thing I knew was that it had happened and that Kate Middleton wore Illuminum’s White Gardenia Petals. While I do have a sample of that, I wanted to start with something less well-known. In Bottle: Cashmere Musk, smells of hyacinth and soft, clean musks. It’s light and airy and very delicate. Applied: Nice light hyacinth scent with a soft personality. Makes me think of spring, clean clothes, and gentle breezes. I had initially wondered if Cashmere Musk would smell like a soft suede with woods, but there’s no such thing in this. It’s a clean, fresh floral with heavy emphasis on the hyacinth. The floral note features heavily in the fragrance upon application and is joined briefly by a nice gentle touch of cedar. The cedar adds a bit of woodsiness to the fragrance but isn’t very detectable unless you try to search for it. Cashmere Musk dries down with a cool woodsy and floral fragrance with a prominent clean white musk note. This smells like clean, expensive soap and I love that. The projection sticks close to the skin and the longevity is moderate, giving me about five hours of enjoyment for this fragrance. Extra: The Illuminum line was started by Michael Boadi who also heads the Boadicea the Victorious line. There’s definitely a correlation between Cashmere Musk and some fragrances from Boadicea the Victorious. I’m reminded of Pure when I tested this out. Design: The bottles look pretty nice lined up in a row and I love it when things look good and uniform when you have a collection of them. I’m not too crazy about the aesthetics strictly speaking as a designer, but differing tastes and all that. The bottles are presented as they are to showcase the natural colors of the fragrances they contain. Notes: Ylang-ylang, hyacinth, cyclamen, cedar, sandalwood, precious woods, white musk. I’m tempted to drop the cash for Cashmere Musk, it made an excellent first impression on me and I’m happy to have chosen it first. There’s a bit of a rift when it comes to reviews of this, some love it and some think it’s a bit boring. I happen to really like fragrances that do clean and floral rather well, so Cashmere Musk hit if off with me. 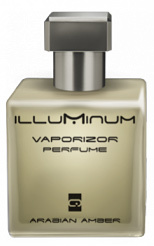 You can purchase a bottle of Cashmere Musk on Illuminum’s website. Reviewed in This Post: Cashmere Musk, 2012, Eau de Parfum. Up today is another decant from Steve at The Scented Hound (thank you). I really have no method to my madness, so I decided upon Colonia Assoluta In Villa because it was the closest one. In Bottle: Green citrus, I get a lot of lime and bergamot, with a big dose of woodsy notes. Applied: Lime and bergamot on opening, reminds me of greenness and it only gets more green when the cypress quickly rolls in. When I looked up the notes for this Acqua di Parma wants to tell me they used cedar. Now, I’m not a great nose when it comes to well-behaved cedar because it’s always going funky on my skin. If this is cedar, then it’s behaving really well. The citrus is quick to dissolve, leaving cedar holding the bag until a clean waft of florals rolls in during the midstage with the very barest touch of spice. The scent gets decidedly less floral near the end where the green cedar continues to carry it forward with a touch of warmth from a very faint amber note. The fragrance reminds me a lot of an adorable little cottage I saw once. It was–funny enough–in the middle of a city, but the owner had enough land that despite metropolitan life going on around him, he managed to have a beautifully done wooded area surrounding his property. It looked like a page out of a storybook and In Villa reminds me of that. 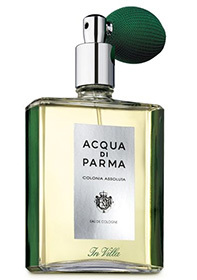 Extra: Colonia Assoluta In Villa was released in 2009 by Acqua di Parma. Design: I actually really like the bottle for In Villa, it’s elegant and simple. Modern with a little bit of classic flair so that it doesn’t look outdated. I think what sells this bottle for me (in terms of aesthetics) is that it has a balloon pump, which gives it a classic charm. Though as Steve noted, the balloon pump adds an element of beauty to the bottle, but it’s not great when you go to use it. From my experience with balloon pumps, I can eagerly agree. Notes: Lemon, lime, bergamot, cardamom, chili pepper, jasmine, rose, ylang-ylang, cedar, white musk, amber. I was really happy with how well the cedar in this worked on me, but aside from the surprising mild cedar, there’s not a whole lot going on with In Villa. It’s pretty enough, but it’s not my kind of thing. But if it is your kind of thing, you can buy a whopping 200ml of this stuff. That’s a lot of In Villa! 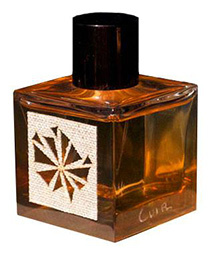 Reviewed in This Post: Colonia Assoluta In Villa, 2012, Eau de Cologne. 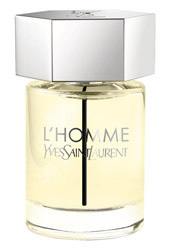 A friend of mine raves about L’Homme and how much he loves it and gets compliments whenever he wears it. I have to admit that hype kind of puts a damper on things for me. Hype it just enough and I’ll be interested. Hype it a bit too much and I find myself avoiding it. In Bottle: Bam. Familiar. Familiar in a rather good way. Takes it back to my early childhood where I remember lights, noises and of course the smell. Applied: Citrus with a tempering ginger note a hint of sweet florals and woods. All of the notes are very well blended. I definitely get the citrus first, but then it molds together into a nice even fragrance that hits a memory nerve. The scent has a nice mild spiciness to it with an underlayer of woods with an inoffensive cedar note that provides a base for the sweet floral notes that are really the stars here. L’Homme is rather soft and yielding. It’s like the whole fragrance is composed of very delicate amounts of ingredients. And it really shows because L’Homme is a quick fader and is gone within a manner of a few hours. The smell takes me back to my childhood, reminds me of one of the houses I lived in as a toddler. It’s hot days, street noise, and the ever-present banging of Vietnam’s less than safe metalworking shops. I think L’Homme is taking me back because it smells like a laundry soap my mother used on our clothes back then and we always ended up smelling like it. In either case, my association with L’Homme makes me instantly like it. On a more objective note, it is a good fragrance. If it didn’t jive any memories in me, I would say there’s nothing too particularly special about it except for the fact that it’s a fairly well blended scent that’s accessible and easy to pull off. Extra: L’Homme was released in 2006 and has a mixed reception. Some love it, some hate it. Most think it’s a pretty easy going fragrance that will work for the office. Design: L’Homme’s bottle is really recognizable for me. Mainly because I see it everywhere I go. It’s one of those standard fragrances that isn’t very difficult to find and up until now, I never had the urge to actually walk up to it and spray some on because it was so unassuming a bottle. It’s simple, compact and would blend right in with the rest of your bottles. Notes: Ginger, bergamot, lemon, basil, ozone, pepper, spices, violet leaf, tonka bean, vetiver, cedar. L’Homme does run a bit more sweet than most fragrances marketed to men. But it’s one of those scents that skirts the unisex to masculine line. So if you wanted a full on “man fragrance” then maybe this isn’t for you. L’Homme also doesn’t have the greatest longevity. What it does do well is provide a nice, inoffensive, easy to wear clean and floral scent. So I do so happen to like L’Homme–mostly because it reminded me of something good. Or at least, something familiar. Odd thing to do for a fragrance that was released long after I had those memories. But then, that’s what makes scents and memories fascinating. Reviewed in This Post: L’Homme, 2011, Eau de Toilette. I had a glimpse at this adorable bottle at the store the other day. Lancôme’s Trésor Midnight Rose looks more modern than original Trésor with a cute little rose ribbon tied around the neck of the bottle. It’s things like that which wake up the little girl in me. In Bottle: Cedar (plenty of it) in this with a mild sweet floral. A little touch of rose settling in the background. Applied: It’s probably not a good sign when the first note I smell in the bottle and on my skin is cedar. Midnight Rose’s cedar doesn’t agree with me as it overtakes the scent and makes itself a dominant force to be reckoned with. Pushing the cedar aside, I can get vague glimpses of roses and berries. The underlying scent is a sweet floral and I imagine without the cedar present, Midnight Rose would smell pretty tame and mild. With the cedar, its tameness is being drowned by a near obnoxious “Look at me, I’m a big tree and I smell”, sharp woody note that I get in most cedar perfumes. Something about my nose or my skin or just me in general cannot get along with these cedar notes and Midnight Rose just so happens to use enough of it to bother me. I keep Midnight Rose on in the hopes that cedar will go away and let me into the rest of the fragrance, but it’s always there, taunting me. Thankfully the fragrance has a noticeable enough progression that near the end, I get a bit of creamy vanilla with a soft lingering floral. Extra: Midnight Rose was released last year, in 2011. Trésor has a large selection of flankers, most notably, Trésor In Love and Trésor Sparkling. Design: I didn’t even recognize this as a Trésor flanker because of how different the bottle looks from original Trésor. The redesign is definitely appreciated as Trésor’s design was showing its age a bit. Or maybe I just associate it naturally with the 90s because that’s how long I’ve been seeing the bottle sitting on a relative’s vanity table. Trésor Midnight Rose is encased in a tall glass bottle that reminds me a bit of Nina Ricci and Chanel mixed together. It has a cute fabric rose, tied to the neck of the bottle that, for once, accentuates the aesthetics and gives it a sort of sophistication as opposed to just tackiness. Notes: Berries, rose, jasmine, peony, cassis, pink pepper, cedar, vanilla, musk. I keep seeing people generally liking this and I wish I could say the same. The cedar really was the sole reason why I didn’t have any luck with Midnight Rose. What I smelled underneath was a mild, nice, sweet floral which I probably would have enjoyed. Reviewed in This Post: Trésor Midnight Rose, 2011, Eau de Parfum.